GAINESVILLE, Ga. – Christy Wagner, MD and the staff of Northeast Georgia Physicians Group Thompson Bridge welcomes family medicine physician Katie Dudas, MD, to the practice. 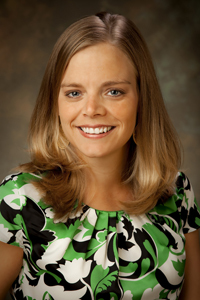 Dr. Dudas received her medical degree from Mercer University School of Medicine and completed her residency in family medicine at Palmetto Health Richland Family Medicine Residency Program, in Columbia, SC. She is a member of the American Medical Association, the American Academy of Family Physicians and the Christian Medical and Dental Association. Come and get to know her before you need her. Join NGPG Thompson Bridge for a meet and greet for Dr. Dudas at the office on Tuesday, November 8 from 4:30p.m. to 6 p.m.
NGPG Thompson Bridge is a family medicine practice providing routine and preventive health evaluations, immunizations, same-day appointments, EKG, physicals, and laboratory services for patients one year and older. For more information visit www.ngpg.org/thompson-bridge or call 770-534-2800 to schedule appointments 7 a.m. to 5 p.m., Monday through Friday.